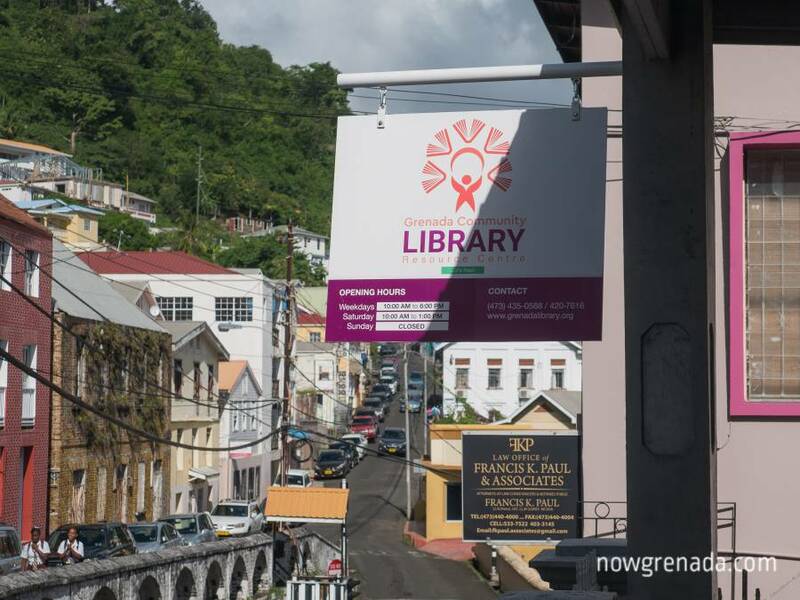 The ribbon to Grenada’s Community Library and Resource Centre was officially cut on Monday, 9 January 2017, as its doors were publicly opened followed by a brief ceremony and viewing of the facility. Also speaking at the opening ceremony, was Grenadian Historian, John Angus Martin. He encouraged persons to read as much as possible and reminded them of the importance of reading. “If you want to write well, you have to read,” he stressed. Martin thanked the persons who assisted on this venture. One of the things he also focused on is having a mini archive or a national archive in Grenada, where students can come in to do research. Hon. Alexandra Otway–Noel congratulated those who played a role in the Library’s opening becoming a reality. “I think what you’ve done is tremendous. It is a huge contribution to the young people in our country.” Otway–Noel extended congratulations on behalf of the Government, and “as a friend of the Library, I’m here to support in any way that I can, and I wish you all the very best in going forward. Co-founder of the Grenada Community Library, Oonya Kempadoo, reminisced on the time it took for them to get to where they are now. She said they started in a small room, with a few boxes of books and about 20 children; now they’re up to 2,000 members. “With the kind patronage of James Bristol, this building, a magnificent building of 2 floors all dedicated to [the] Library and Resource Centre.” Mr Bristol, who was unfortunately absent at the opening, donated the use of the 2-storey building at No. 7 Lucas Street, St George’s, and for this, Ms Kempadoo expressed her gratitude. The Library holds a diverse collection of books, including those authored by Grenadian writers; and the Centre is owned and operated by Grenadians. A number of book presentations and donations were made during the ceremony. Also gracing the audience were local artistes, storytellers, and poets.